"Endless corridor" movie will be shown in "Al Jazeera" TV on September 10, Azertac reported. The film will be screened as part of the "Justice for Khojaly" campaign initiated by Vice-president of the Heydar Aliyev Foundation Leyla Aliyeva. "Endless Corridor" is the heart-rending human rights tragedy of the year 1992, when hundreds of Azerbaijanis were horribly massacred after Armenians stormed the city of Khojaly. The storyline is about two journalists, Lithuanian Richard Lapaitis and Russian Victoria Ivleva, on their return to Azerbaijan 20 years after covering the horrific Khojaly Massacre during the Armenian–Azerbaijani Nagorno-Karabakh conflict. They journey to find the survivors they had first met in the aftermath of the Armenian attack. Based on the testimonies of the witnesses, the film tells dramatic stories that reflect all the realities in western Azerbaijan on 26 February 1992. The film is narrated by Jeremy Irons, the Oscar-winning British actor, and the Emmy-winning American producer Gerald Rafshoon was the Executive Producer. The first premiere of the film took place on July 1, 2014 in London at the British Academy of Film and Television Arts (BAFTA). Leyla Aliyeva also participated at the presentation. Following its international premiere throughout 2015, "Endless Corridor" attracted plaudits from critics across the world. 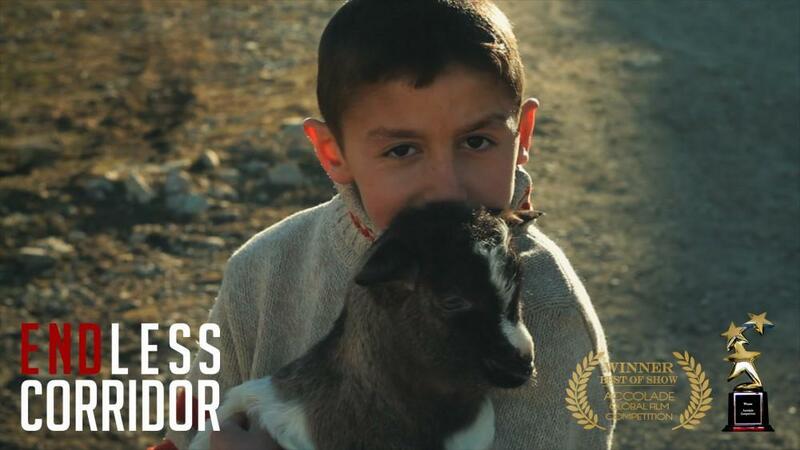 It has received the Best Documentary and Best Director for a Documentary Prizes at the Tenerife International Film Festival in Madrid; the Best Documentary Editing Prize at the Milano International Filmmakers Festival; and in the prestigious US-based Accolade Global Film Competition, it achieved two awards – Best of Show in May 2015 and in January 2016 the Outstanding Achievement Award in the Accolade Humanitarian Awards 2015. On 10 July, the Tenerife International Film Festival in Madrid declared "Endless Corridor" to be the Best Documentary, and Aleksandras Brokas as the Best Director of a Documentary. With further festivals to come, the film is also attracting international attention from leading TV channels.